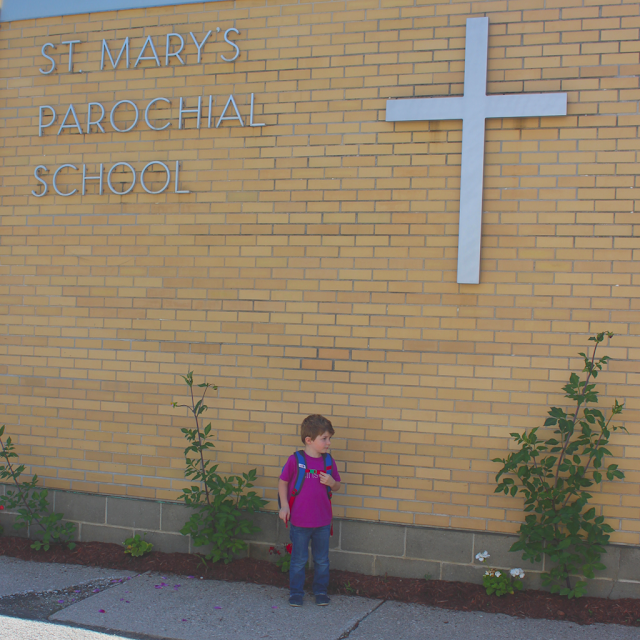 Parker has been asking about school since summer vacation started. I kept explaining to him that there was no school during the summer because everyone needed a break to spend time outside while the weather is nice, to travel and visit family, and to relax a little. 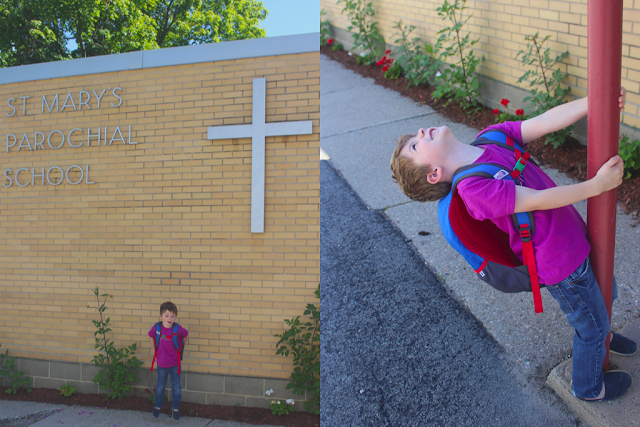 He kept explaining to me that he didn't need a break from school because it is so much fun. I love that kid. Transitions can be hard for Parker. Sometimes we celebrate anticipation and excitement by counting down the days and sometimes we play it cool, letting Parker take the lead. 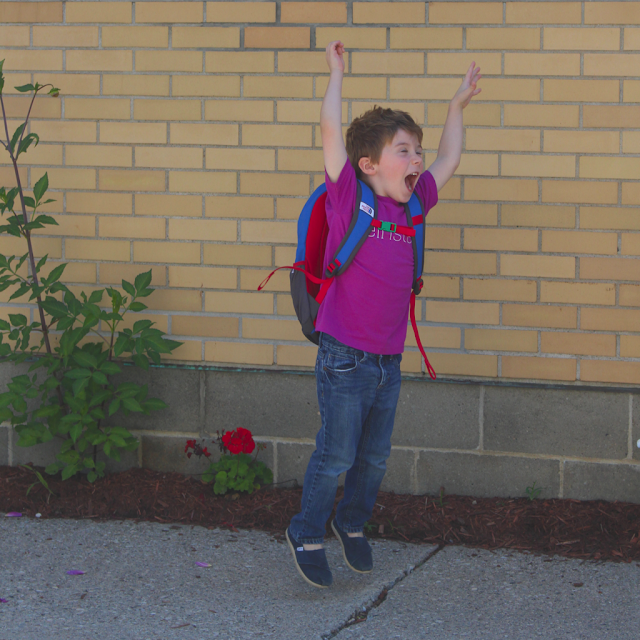 And let me tell you, he played it cool when we told him school was starting. He wasn't acting or hiding his excitement - he was genuinely ready. He didn't fuss over school supplies. He didn't have trouble sleeping the night before. 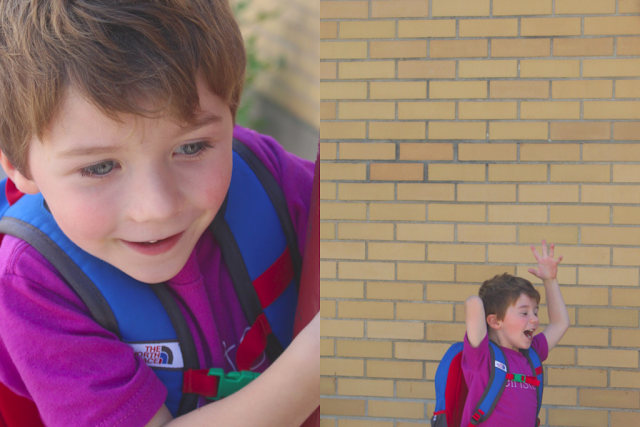 He walked right into the classroom, hung up his backpack and told Tyler he was "going to go play now". Just like that, cool as can be. Like the summer didn't even happen. Like it was just another Monday. Last year, he went half days for two days a week. This year he is going five days a week until just after lunch. To me it seems like such a giant step, but to him it feels just right. 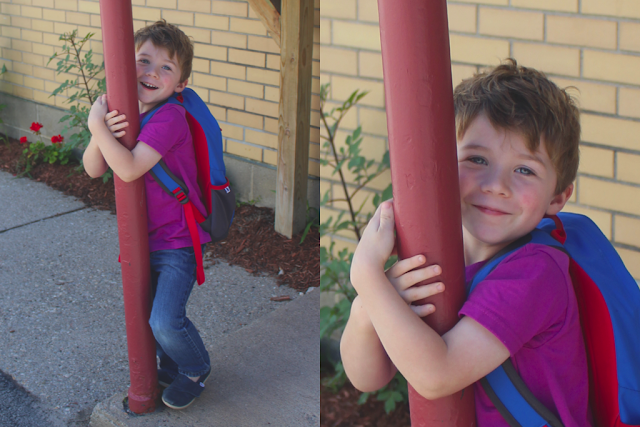 He comes home with an empty lunch box, he snuggles me and tells me about the stories they read at school, and he always makes sure to ask if he gets to go again in the morning.